N.J. Burkett is live on Long Island with the latest details. 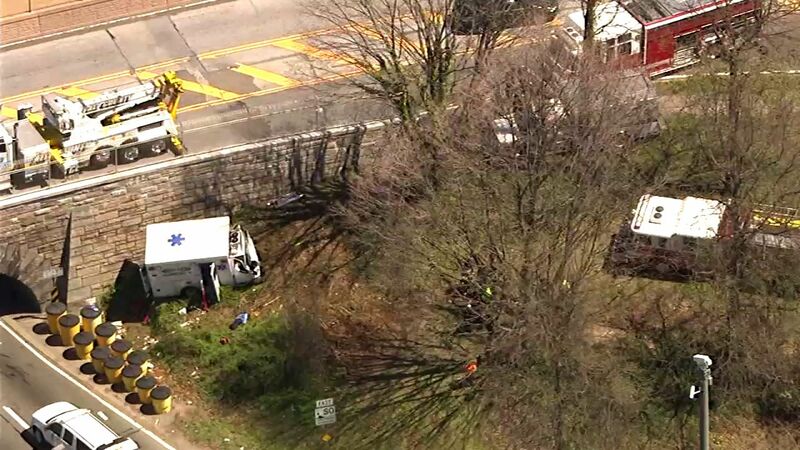 WEST HEMPSTEAD, Long Island (WABC) -- The driver of an ambulance and a patient who had just received a heart and kidney transplant died in a crash on a Long Island highway in Nassau County Wednesday.. The crash happened at about noon on the Southern State Parkway at exit 17 in West Hempstead. 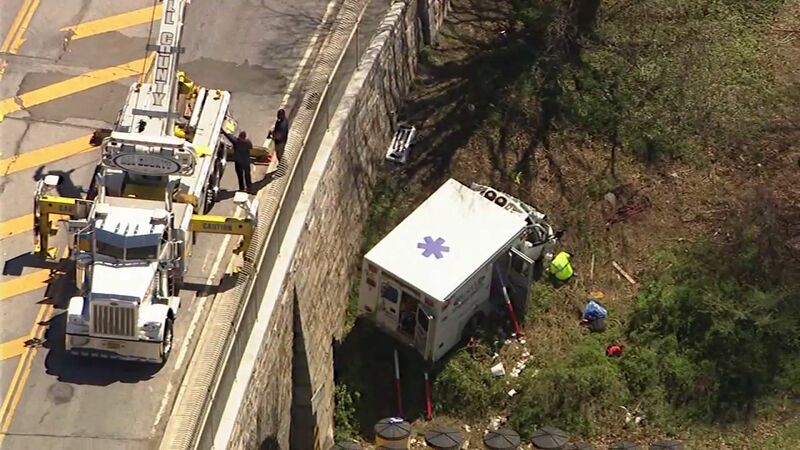 The New York State Police said the ambulance struck the Eagle Avenue overpass on the south shoulder, trapping the driver inside. The driver, 55-year-old Larry Fuller of Jamaica, and 36-year-old James Larson of Elmont, who was in the back of the ambulance at the time of the crash, both died from their injuries. Larson recently had a heart and kidney transplant at Mount Sinai Hospital and was being transferred to A. Holly Patterson Extended Care Facility in Uniondale for rehabilitation. An EMT, 47-year-old Renato Endrada, of Queens, who was also on board, suffered a broken leg and concussion, police said. A source close to the crash investigation told Eyewitness News that the ambulance was doing a routine transport at the time, and was not running with its lights and siren turned on. Investigators are now trying to figure out what caused the crash, as the ambulance went straight off the road and struck the bridge abutment for no obvious reason. Police said there were no other vehicles involved and that was no indication that the ambulance had been cut off -- and no obvious skid marks. The front of the ambulance was significantly smashed. The eastbound lanes of the Southern State Parkway were closed for several hours while police investigated the crash.